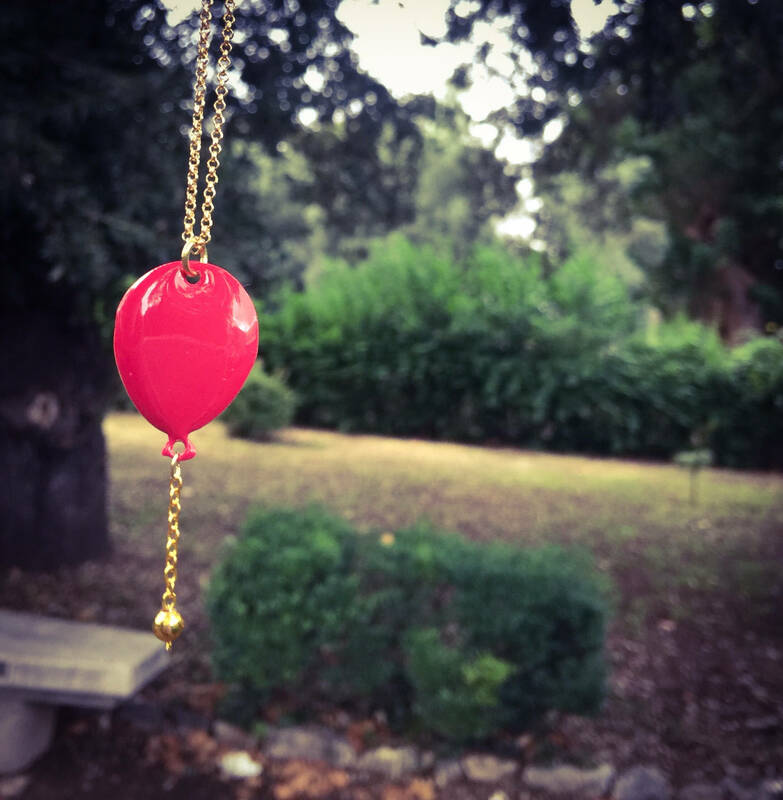 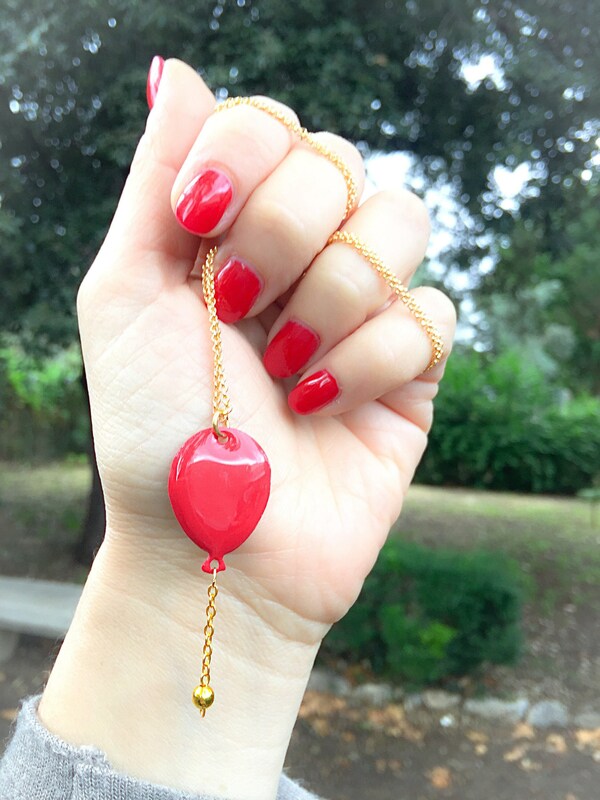 It is a necklace made using golden brass chain and enamelled brass balloon pendant. 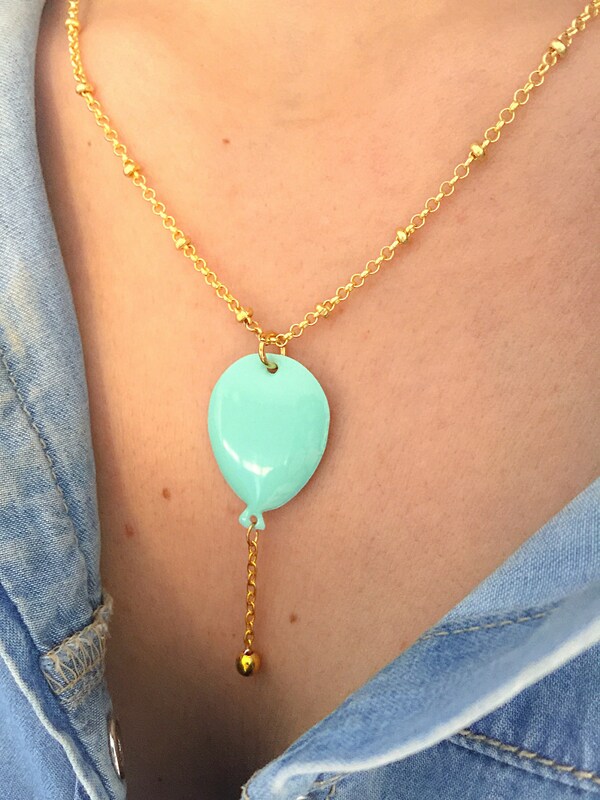 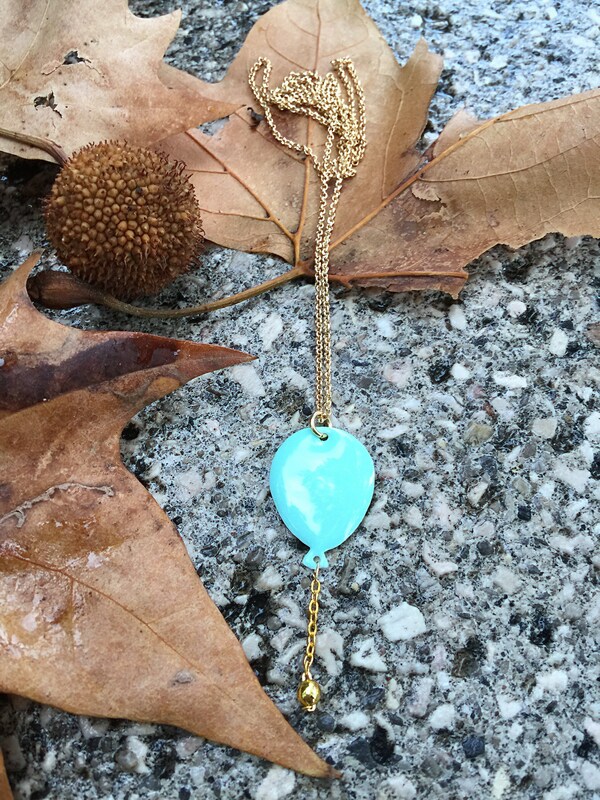 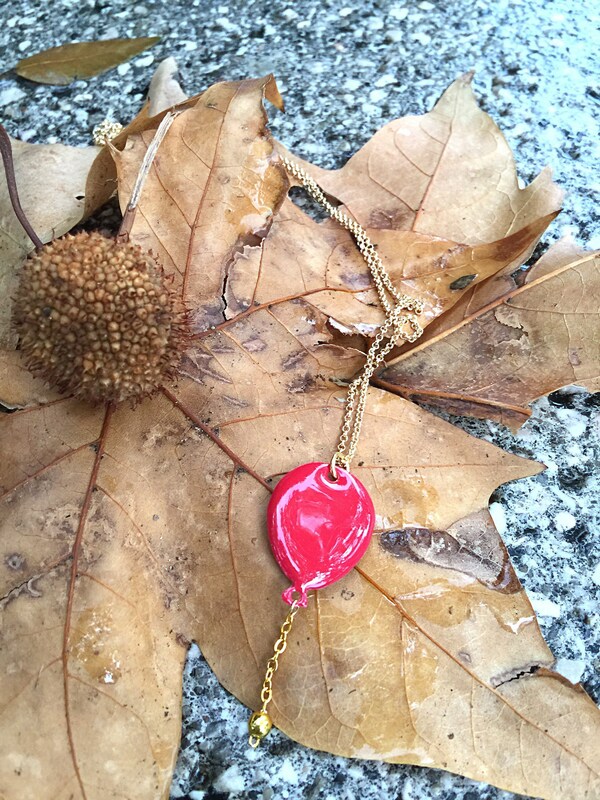 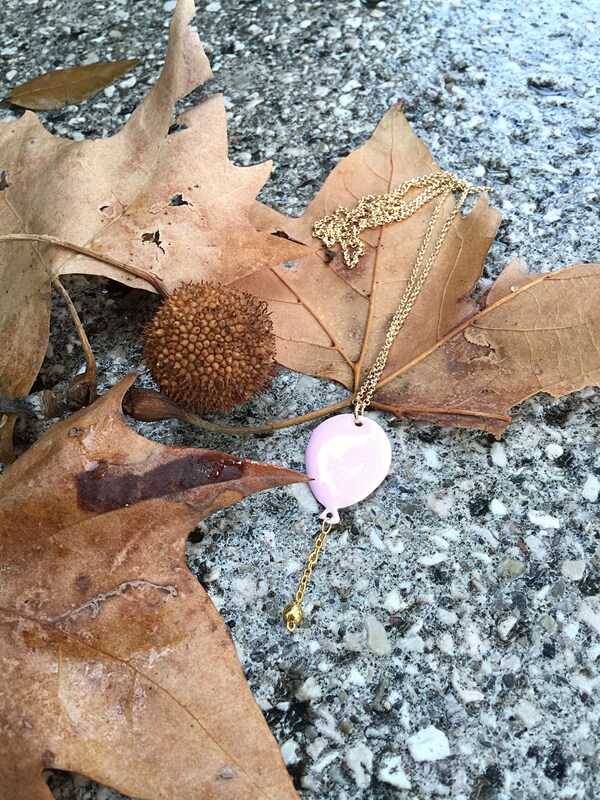 The pendant is available in three colors. 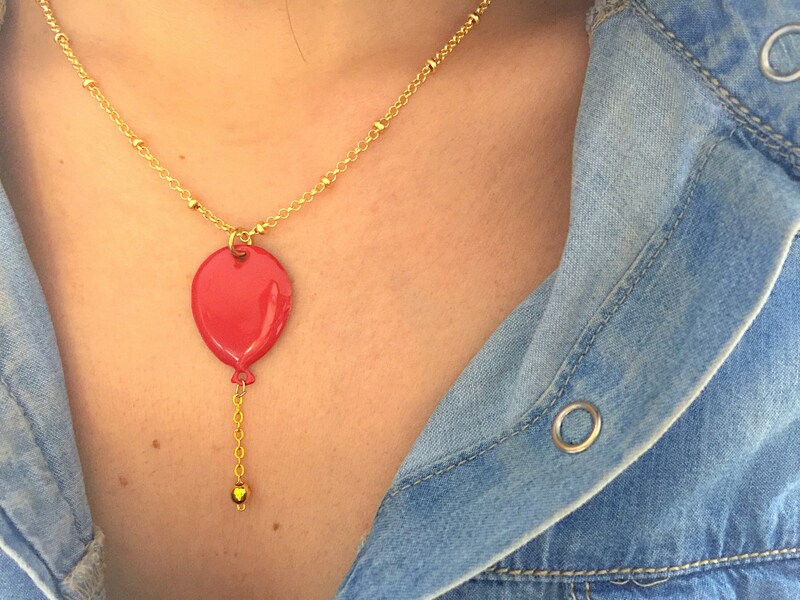 The length of the necklace is about 60 cm.